Services will be held at 10:30 a.m., Thursday, May 17, 2018 at Chiles-Laman Funeral & Cremation Services, Bluffton. William Herr officiating. Burial will be in Rockport Cemetery. Visitation will be Wednesday from 2:00 p.m. – 4:00 p.m. & 6:00 p.m. – 8:00 p.m. at the funeral home. Avis A. Marshall, 89, passed away May 13, 2018 at Blanchard Valley Hospital in Findlay. Avis was born May 23, 1928 in Lima to the late Clarence and Edith (Thomas) Hofferbert. On September 16, 1950 she married John H. Marshall II who preceded her in death on August 16, 1997. Avis was a graduate of Vaughnsville High School and Lima Memorial School of Nursing. She was a registered nurse at Bluffton Hospital. 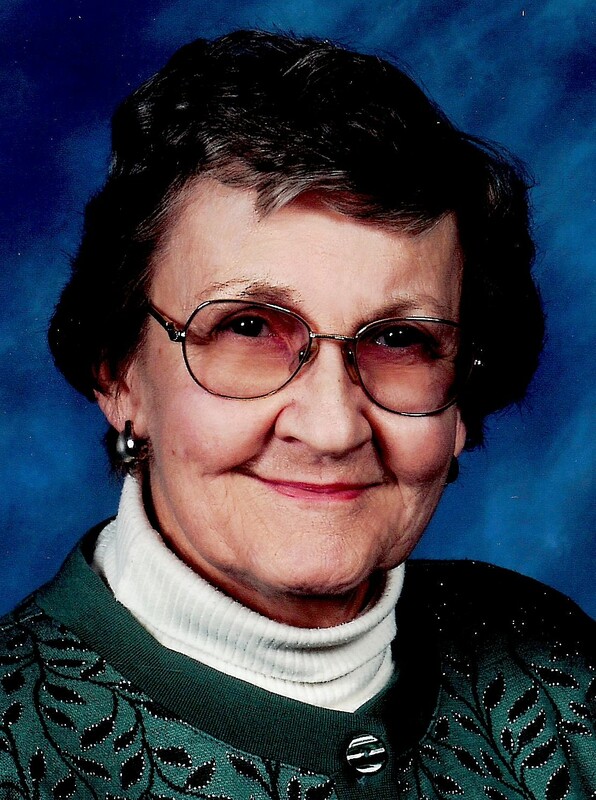 Avis was a member of Bluffton Presbyterian Church, Lima Memorial Nurses Association, the Pinochle Club and longtime Allen County Farm Bureau member. She volunteered at Bluffton Hospital for several years following her retirement. Survivors include three sons, John H. (Gayle) Marshall III of Bluffton, David P. (Kathy) Marshall of Tennessee, Mark R. Marshall of Bluffton; nine grandchildren and four great-grandchildren. Avis was preceded in death by a sister, Helen McOwen. Memorial contributions may be made to Bluffton Presbyterian Church of Bluffton Hospital Auxiliary.